Your landlord is prohibited from making deals that restrict you to a single video provider, and those prohibitions should apply to your broadband service as well. Yet, across the country, tenants remain locked into a single choice. In January of 2017, San Francisco became the first city to take action toward filling in the loopholes that enable anti-competitive practices. Will 2019 see more cities adopting similar protections? Large Corporate ISPs—looking to lock out competition—have created a market of landlord addiction to practices that take advantage of these loopholes in the FCC’s prohibition on exclusive access agreements, by simply denying physical access to any but their preferred ISP. These owners and Real Estate Investment Trusts may charge prohibitive Door Fees, participate in ISP revenue sharing schemes, or enter into exclusive marketing agreements. While ostensibly legal, these practices often result in the same lack of choice, and disincentivization of innovation, the FCC intended to curtail. Oakland resident J. Oswald who has been instrumental in rallying support for the adoption of an ordinance that builds on the template set by San Francisco, believes that lack of awareness is at the heart of why this practice has been able to continue for so long. “Most people aren't even aware they are discreetly being ripped off. When I first read about the landlord-ISP payola, I couldn't comprehend why this hijacking was allowed to happen.” Property manager lack of awareness regarding the FCC’s prohibitions also seems to play a key role in how exclusive advertising agreements become exclusive access agreements—in practice if not in name. 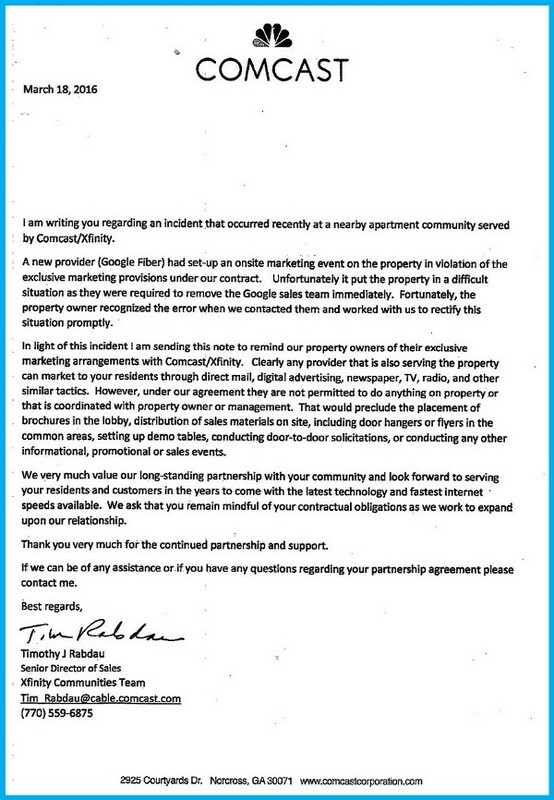 In a piece titled The New Payola, Wired highlighted how companies like Comcast encourage this confusion, sending letters to building staff at properties where they have exclusive marketing arrangements including phrases such as “under our agreement they are not permitted to do anything on property or that is coordinated with property owner or management.” It’s not difficult to see how a property manager could read that exclusive right to extend well beyond what the FCC regulations permit. ISPs with exclusive access to properties have little reason to offer residents competitive pricing, improved customer service, better selection, or quality of services. 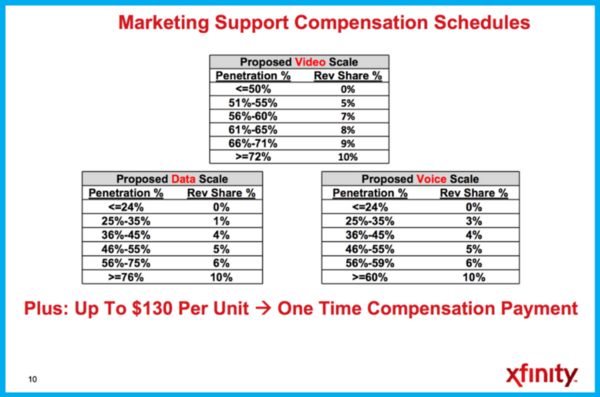 Choice of Communication Service Provider ordinances like San Francisco’s put the power to choose back in the hands of consumers. Should Oakland, and other cities, adopt a similar ordinance, landlords would be required to provide access to qualified ISPs given they can show that at least one resident is seeking service through the provider. The ordinance requires that property owners be given reasonable notice before a communication service provider intends to inspect the property or install equipment, and makes great effort to assure proper maintenance of the owners property, while ensuring that any refusal of access is in the interest of protecting the safety, functioning, and appearance of the property, instead of an incumbent ISP's profits. EFF supported the adoption of San Francisco's ordinance two years ago. We stand with Oakland residents, community groups and advocates such as Sudo Mesh and Media Alliance, and privacy and net neutrality respecting ISPs such as Monkey Brains, in calling for an end to the broadband oligopoly created by pay-to-play schemes. 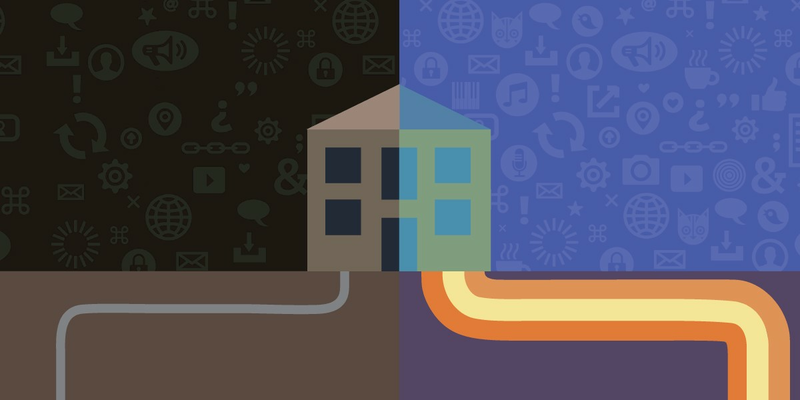 Across the U.S., local members of the Electronic Frontier Alliance (EFA) are working to assure that their neighbors' online rights and privacy are respected and supported. Visit eff.org/fight to find your local ally, and support returning the power of choice to thousands of renters, instead of lining the pockets of the largest ISPs and Real Estate Trusts.